The holidays are never complete without receiving and getting gifts in return. 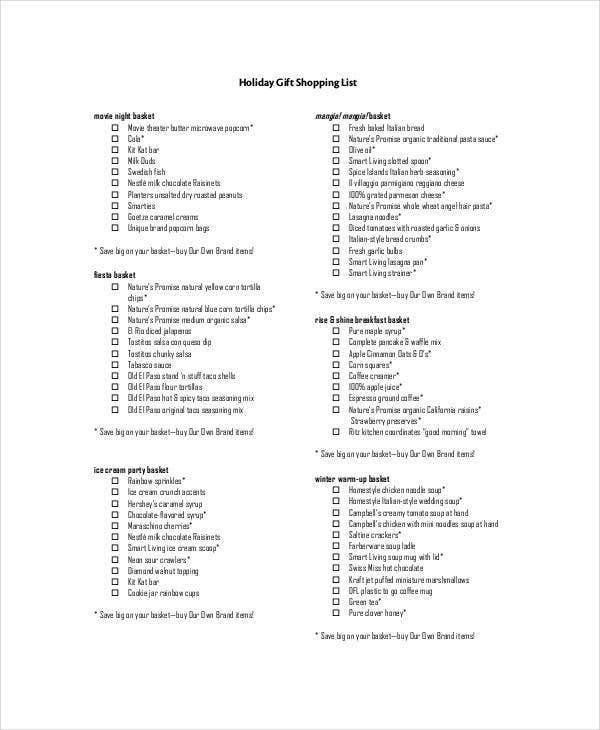 If you are the type of person who would rather be doing the giving, most times, the feeling of dread if you bought everyone you know a gift and the anxiety if you are sure you are getting them exactly what they want for the holiday will set in if you are doing all the shopping alone. 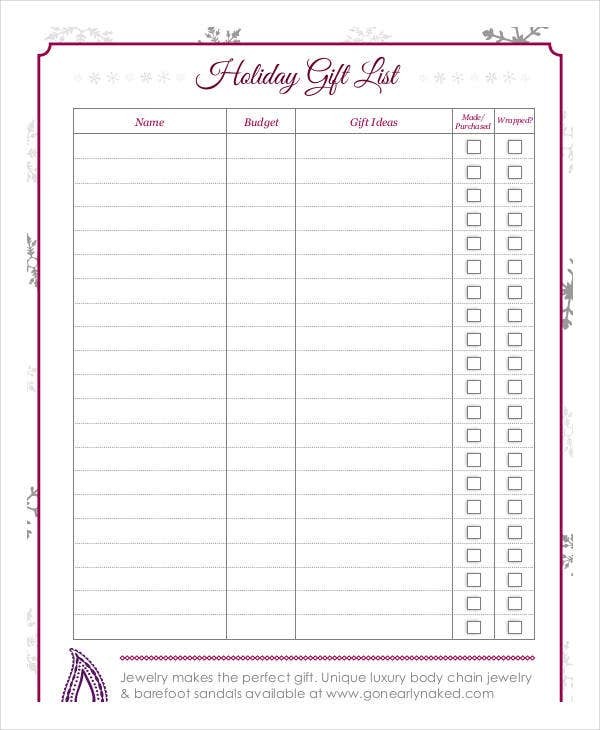 Since most of us are not privileged enough to employ a personal assistant, we are offering you the next best thing instead—Holiday Gift List Templates! 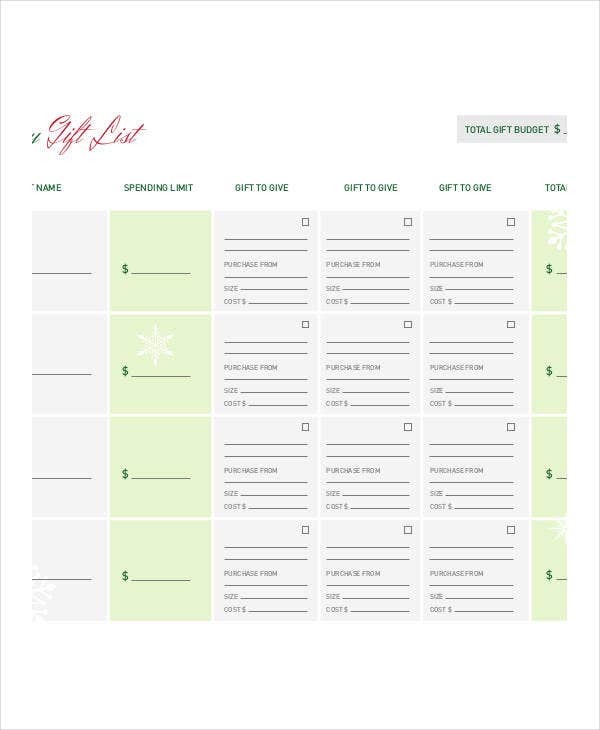 This tool helps you in managing your tasks this holiday season and are absolutely free! Some people might think that keeping a holiday gift list is purely pointless as there are apps that help you out in that department nowadays. But relying your entire holiday prepping activities on apps is risky when technology decides to glitch or obliviously deleting an app’s content could mean never seeing your to-do list ever again. 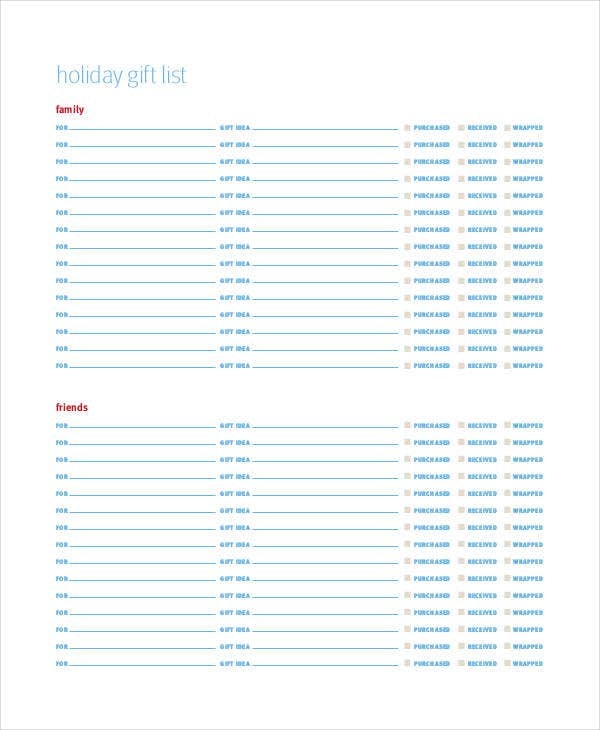 Holiday gift lists improve your management skills. 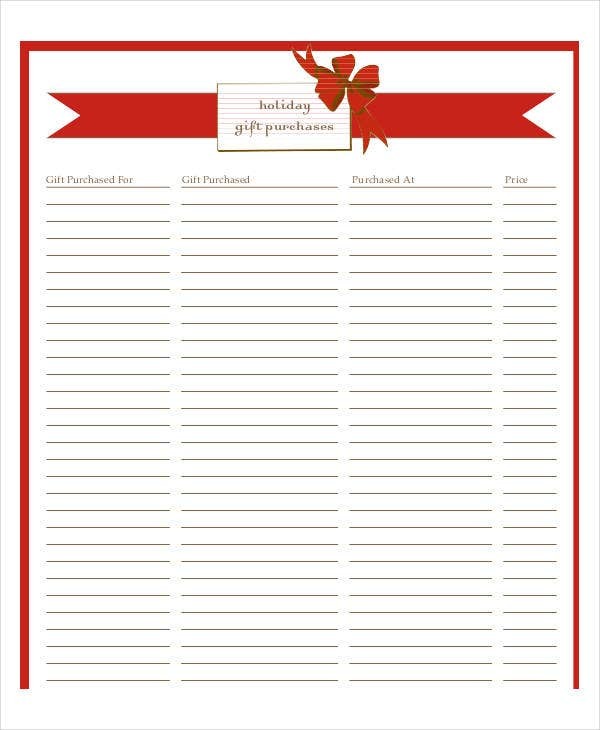 Writing down the everyone’s names on a list with their corresponding gift will immediately put you at the top of things. 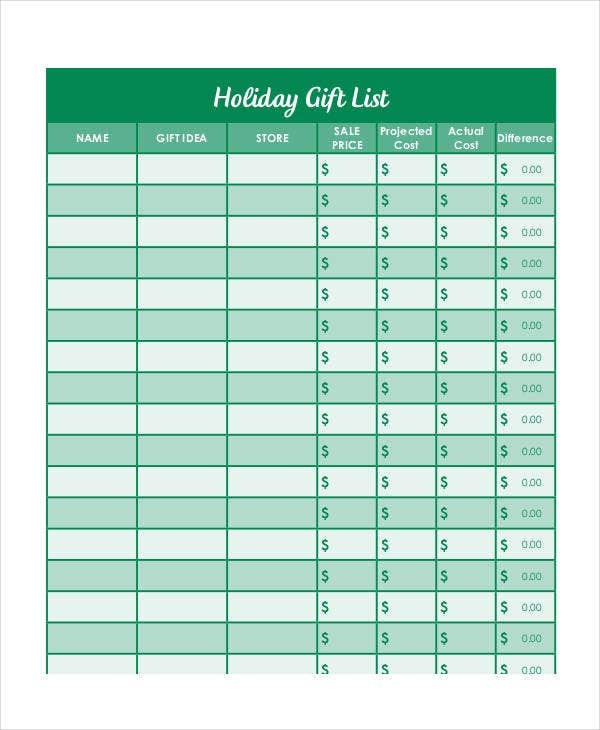 This gives you more control about a spectrum of aspects in your holiday gift shopping like shopping schedule, budget, route, etc. 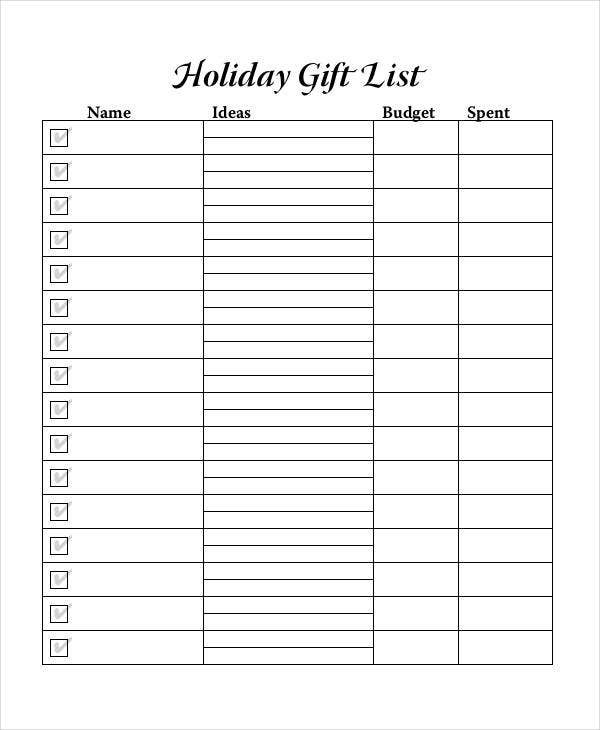 Holiday gift lists increases your productivity. 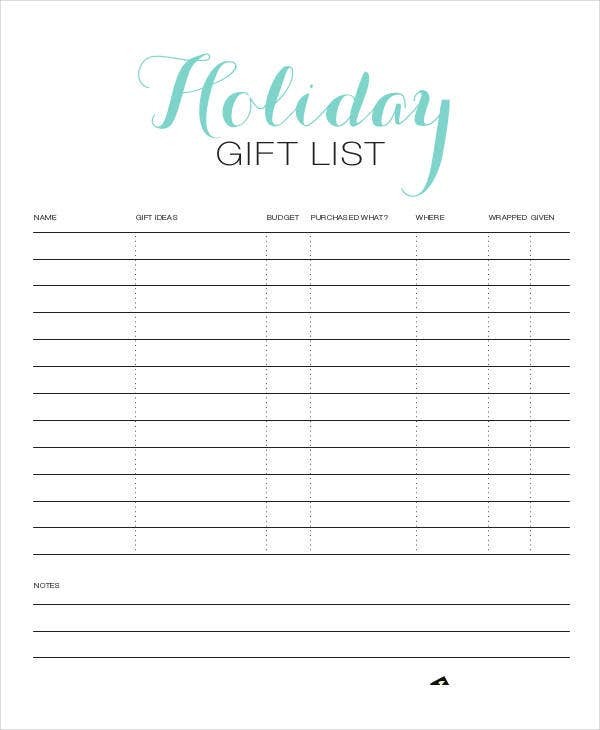 The presence of a concrete holiday gift list helps you set out the tasks that you need to do for the rest day. 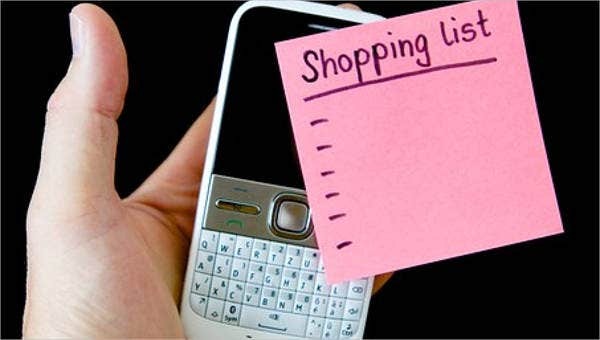 A list gives you the opportunity to prioritize your shopping activity and will in turn make you more efficient at achieving the tasks that you have set for yourself. This sense of productivity will set you off even after the holiday season is over, as this skill will surely flow into other aspects of your life. Jotting down your activities in a to-do list does not automatically mean that you are effective at arriving to your goals. We share with you some tips on how to make this process effective for you and most importantly, fun! Pick the tool that is enjoyable for you to use, like our templates! To-do lists come in many different styles, but the point of them are to be easy for you to write all your tasks. So pick the templates that entertain you at the same time. 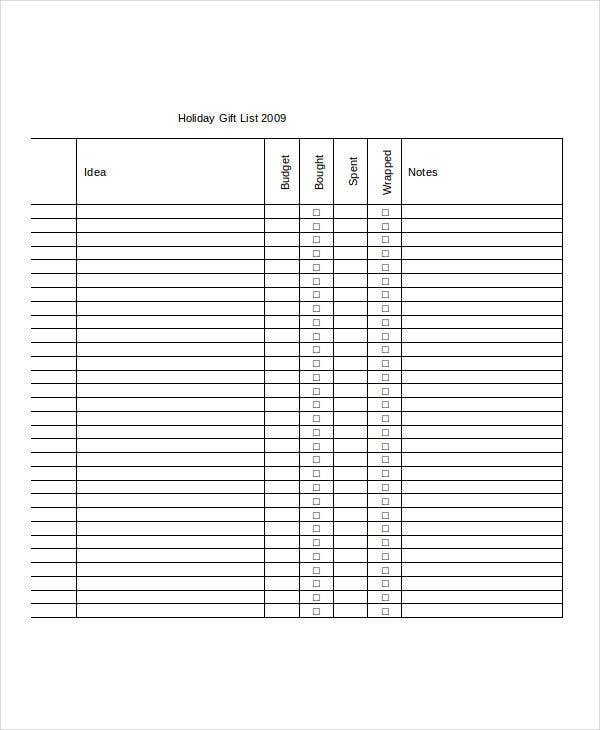 If you are planning to do some traveling this holiday season, we suggest you use our Packing List Templates. 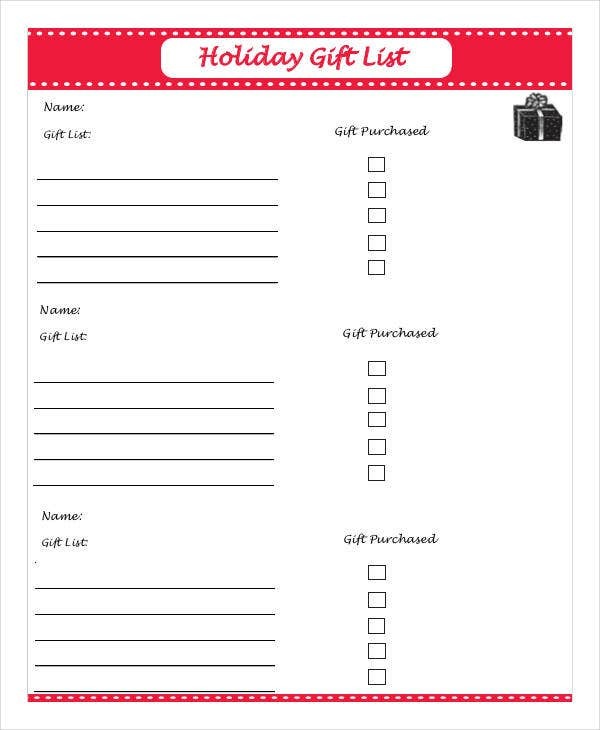 Keep your holiday gift list short and simple. If this is your first at using a tool like this, we suggest you start off light. List maybe three to five tasks that you need to do that day and accomplish them. See how you feel at the end of the day and decide if you want to make your list longer after that. Intimidating yourself with a mile-long list when you are just starting will make you less motivated to continue.